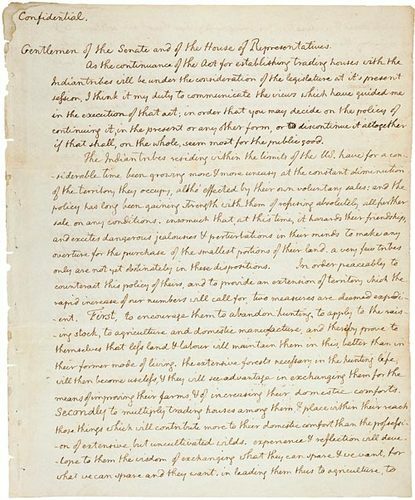 In this secret message of January 18, 1803, President Jefferson asked Congress for $2,500 to explore the West - all the way to the Pacific Ocean. At the time, the territory did not belong to the United States. Congress agreed to fund the expedition that would be led by Meriwether Lewis and William Clark.